What a delightful way to remember that special day. Thanks for joining us today. Thanks so much! 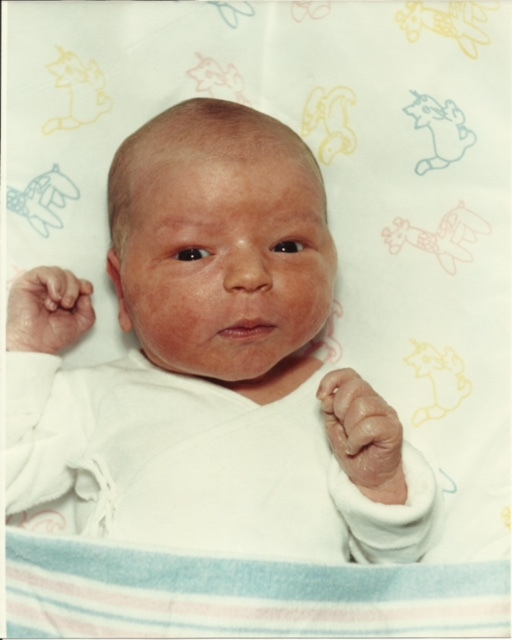 My son is 32 years old today so it really is an event burned in my brain. We nearly lost him, but thankfully, obviously, didn’t! That makes his life all the more precious, no doubt. A great memory in etheree, Elaine! Yes, welcome to what we hope is more pondering of the poetic process! Not only thanks for joining us today, but days to come! Thanks for all of your comments and your welcome! I truly appreciate it! I saw your’s last night and had to give it a shot! Thanks for the inspiration! Happy Birthday to your son! And congratulations to both of you. A most excellent from me too. There is nothing so wonderful as the beauty of new life, although as you experienced, it does sometimes have scary moments. A lovely, triumphant birthday poem, very celebratory.